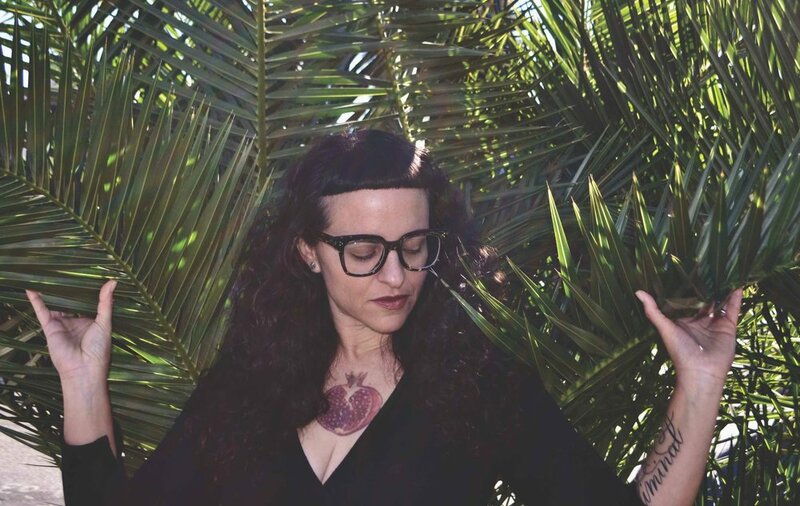 Wendy C. Ortiz is the author of Excavation: A Memoir (Future Tense Books, 2014), Hollywood Notebook (Writ Large Press, 2015), and the recently released Bruja (Civil Coping Mechanisms, 2016). In Bruja, Ortiz chronicles her dreams from four years of her life, divided by month, offering an evocative deep dive into her psyche at a particular point in time. This “dreamoir” allows the reader to experience a narrative unbound by rules and reality, opening a window into the sub consciousness of a writer who put her waking life on display in her prior two works. We talked to Ortiz about the process of bringing such an innovative book to life and how it fits into the continuum of her work at large. Dreams are often so mysterious and hard to keep hold of upon waking. What spurred you to begin transcribing your dreams, and what was your writing process like at the time? WCO: I’ve kept dream notebooks off and on for most of my life. My writing process at the time involved a dream journal, a daily journal, and a lot of sporadic stops and starts that might, respectively, take months. I was inspired to start keeping the dreams online by a Harper’s Magazine “Readings” excerpt from a zine in which dreams were written as reportage. I applied this to the dreams I transcribed online, trying to leave the word “dream” out as much as possible. After deciding to compile your dream transcriptions into a “dreamoir,” when and how did the title Bruja come to you? WCO: I attribute one aspect of brujería as living on more than one plane [editor’s note: bruja is Spanish for “witch,” brujería for “witchcraft”]. The parallel lives I lead in my dreams and my waking life felt, for a period of time, equally full, lived. We joke in my family about the number of brujas, the line of them I come from based on the relatively little information I have about my grandmother, her mother. At the same time we understand that it’s no joke, but something to pay attention to. I’ve also been called bruja by important people in my life, and ghosts. The word felt potent and fitting. The dreams detailed in Bruja are vividly detailed—bright and elusive. But many also work through large internal conflicts, such as one that takes place in an early December in the book. You’re about to be married to S. on a houseboat, but in the end you’re able to change the outcome: “I could hardly believe I had gone even this far from my principles, that I had been about to be married. Relief washed over me when I realized I could walk away.” This feels like such a revelation to have, awake or asleep. Do you remember a palpable difference in writing about these kinds of dreams? WCO: What’s crazy is that I did have that kind of revelation, not long after, in my waking life, only it was the desert, and I went through with the wedding and then walked away. I don’t remember a palpable difference in writing about these kinds of dreams—though in editing I did have intention that each dream in the book would either contain a conflict or revolve around one key image or emotional state. In the editing process of piecing together dreams one after the other, did some emerge to you as larger set pieces? Did you choose based on themes you began to recognize, or more on a gut feeling? I’m interested in how you came to view the work month by month and as a whole. WCO: My main interest was to keep the dreams in chronological order. The constraint then was to keep the non-time of dreams in some kind of linear order and see what emerged. We edited out the actual dates and kept it to months only. I had to use that gut feeling to edit out dreams that did not belong to larger set pieces (thank you for this description). This allowed me to highlight dreams in a particular way, by the omission of others. Now, viewing it as month by month, it feels loose and upended in time. As a whole, the months don’t even matter. The cover of the book is so striking and evocative—it fits perfectly with the prose. How did the art come to find a home as the cover of Bruja? WCO: Thank you! Since I’ve been using Instagram I occasionally get emails for another Wendy Ortiz. When I looked at her Instagram I was immediately hooked—the imagery she uses felt completely familiar and intoxicating. When I thought about cover art it seemed too perfect—to have come across another Wendy Ortiz, an artist, who happens to have a body of work with images that totally speak to me, to themes I see in my own work—so after suggesting it to Michael Seidlinger (publisher of CCM), I approached her. I’m grateful and thrilled she agreed. You’ve previously said that both Hollywood Notebook and Bruja started out as blogs. Do you still journal? How has your style shifted, and how has your view of the format changed over time? WCO: I write two pages longhand every morning. I won’t look at it until years from now. I’m using my Tumblr as a public notebook now—I love it because it feels like throwing sparks into the void; I never have a clue about my audience, and there’s little expectation but my own expectation of the story I’m piecing together there. Our dreams present versions of ourselves we may not be fully aware of or even comfortable with in daylight. At times you’re heroic in the face of disaster, or enacting violence, as in some passages involving your mother. How did the process of seeing patterns emerge in your dreams feel at the time of writing them down? Was it eye-opening? Did it feel different when editing them, years later? WCO: When I was writing them I didn’t have a sense of needing to find anything—patterns, etc. I was more interested in just what showed up. After a number of dreams involving natural disasters, and then human-made disasters, and then a kind of zoo unleashed in my brain (all kinds of animals, all the time), I noticed the pattern but didn’t try to make much sense of it. Many years later, looking at the dreams, it all seems so obvious—almost painfully so. When I read the first sentence of this question I thought, This is how I feel writing memoir, actually—the versions of myself I may not be fully aware of or even comfortable with in daylight. If I have enough time between me and an event in my life, I feel like I get closer to understanding more of the context of decisions I made, or why people behaved the way they behaved—then I feel I can write it with more of an awareness of who I was, and I can sit with the uncomfortability of who I was. Editing these dreams was like looking into a rearview mirror and seeing surreal projections featuring all the important players in my life at the time, and these projections are glaringly painful mirrors of who I was, how I was conducting my life, how I really felt when I wasn’t always saying, in waking life, how I felt. Because of this, in many ways this book, of the three, feels like it’s the most revealing. But those matricide dreams… I was seeing a Jungian analyst in the midst of those, and I’m glad I had the container of that space to talk out these dreams and investigate their nature. Now I find them amusing. Everything about Bruja reads as personal and also intentional—the cover, the presentation of the definition of “dreamoir” at the beginning, the index. Many authors don’t have say in how their work is presented. What was the process of publishing Bruja like? WCO: I assume Michael approached me to ask if I had anything for him to look at for CCM based on Excavation and its reception, because when he asked, Hollywood Notebook hadn’t quite come out, but was on the verge. Just knowing that CCM was interested in innovative fiction gave me courage to hand over this largely unedited manuscript and describe my vision for it as a dreamoir. Michael actually wrote the definition that appears in the book—from the moment he announced the book’s publication, how we wrote about it, I knew we were on the same page, he got it, and that this would be a pretty harmonious process. Having worked now with three small press publishers, my only experience is having as much say as I want. If I think of a good cover, I can suggest it; if I want a certain kind of formatting, I can suggest it; if I want an index, I can pretty much make it happen. This says that my publishers have been incredibly open, generous in their visions, and I feel like they get me, and trust me, and the feeling is mutual. Bruja was written as a blog and edited years later. Because it was completed in two different periods of your life, did this lead to any intersecting creative influences on the work as a whole? What books or art were important to you when writing and editing it? WCO: The influence of Hollywood Notebook is undeniable, and I hope I don’t sound like a jerk for referencing my own book—the texts were written around the same time, and it’s just very odd to have worked on and published a book about a period of my life, and then work on the text of the underbelly of that period of my life, the dreams. There are many references to books and writers in Hollywood Notebook that give a reader a sort of map of my psyche, and they were definitely influencing me during the writing (Amy Gerstler and the journals of Sylvia Plath are a couple that get referenced). Poetry in general was important to me when writing and editing. My experiences between the writing of it and the editing, years later, also encompass my time in a graduate psychology program, and the works of Jung, particularly Memories, Dreams, Reflections, have also left their mark on me, though that maybe isn’t so obviously present in the book. During the editing, I felt influenced by Selah Saterstrom’s Slab—the story, the text, the risks taken, the look of the text on the page: her work always has the power to enter my body in a way not all work does. The index is unexpected and so fun to play with—it allows readers to draw their own new maps among reoccurring images. What inspired you to create an index, and how were the words that were indexed selected? WCO: I thought of typical dream interpretation books and how indices work there and decided it would not only be appropriate but illuminating and entertaining, at least to me, to see my dream subjects indexed. My partner wholeheartedly supported this and offered to create the index herself from a list of words I pulled out of the book. I went through a galley and highlighted all the words that had meaning for me—names of people, animals, objects, places. Some words were indexed because my partner noticed them as she indexed and suggested including them—my favorite inclusion being “manhole.” Some indices are poetry unto themselves, and I think mine is as well. The ending of Bruja crashes into the reader in a wave—you absorb the winding journey of the dreamer all at once, and it suddenly feels like this glorious, meant-to-be circle. Since this final dream occurred far more recently than the others, what was it like working on the book, trying to find an ending before you dreamt it? Did you have other ideas in mind before this one came to be? WCO: I was freaking myself out about how I would end it. Would it end on just a random dream? That never felt right. I figured the answer would show up in a dream, and if not a dream, there’d just be a sign, and it would arrive in time. When the dream did arrive, it felt like it was the beginning of something else, and when I told two people about it they both said, That’s the ending! And I was like, Ohhh, wow, yes, yes! Excavation, Hollywood Notebook, and Bruja can be grouped together as a continuum of personal histories, each more experimentally constructed than the last. What’s in store for your next work? What’s caught your interest lately? WCO: Thank you for making that connection—I do see my three books as a triptych. At the moment I have a poetry book that is making the rounds, and should it strike out, I will let it lie for a while and come back to it later. The best way I can describe what’s in store for the next work, what has caught my interest lately, is to say I’m pivoting hard toward the unknown, and I don’t know what will happen, but I’m fully engaged regardless. Interview by Kimmy Whitmer. Photography by Jade Cruz Quinn.